Making driving more comfortable with Kia's advanced smart cruise control. Easily choose your select speed using steering wheel controls with on-screen prompts on the cluster. The car will speed up to your selected speed and stay there until manually overriden or if there is traffic ahead. 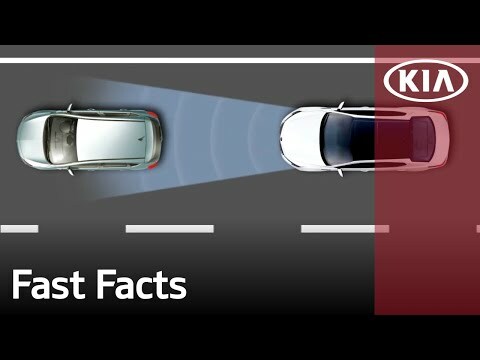 This technology runs alongside a scanner at the front of your car, which judges the distance between your Kia and the traffic infront, which will adjust the speed automatically according. In addition to this, if the vehicle ahead of you stops, so will your Kia will also come to a stop. When the car infront begins moving again, as will you. There are system limitations, which are detailed in your vehicles manual, and Smart Cruise Control isn't a substitute for smart driving practises. To set up your vehicle, follow the easy step by step guide on the video above, alternatively, contact us in branch; we'd be happy to help.